Family Care is In-Network with United Healthcare! Visits at our office will now be subject to your in-network benefits on your insurance plan. You will now have full access to the benefits on your plan for services at our office! In-Network co-payments, co-insurances, and deductibles will apply to your visits. No more high out-of-network deductibles! Annual preventive wellness exams (for non-grandfathered plans) are covered 100%! No more denials for preventive care services! For an average patient that came in every three months as an out-of-network patient, this means out-of-pocket savings of anywhere from $150 (for high-deductible plans) to $400 (for regular co-payment plans)! Why did we decide to re-join the UHC network? If you have recently signed up for health insurance on the individual marketplace, you may have noticed that there are far fewer options available to you than there have been in years past. For the 27713 zip code, and most of the surrounding zip codes, BCBS has limited their available products on the individual marketplace to their Blue Value and Blue Local plans only. 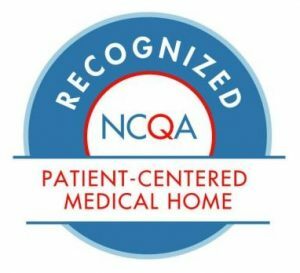 Because the Value and Local plans are affiliated with the UNC and Duke healthcare systems (and our office is fully independent), many of our patients were left without an option that would be considered “in-network” at our office. Now, after signing an in-network contract with UHC, patients who sign up for insurance on the individual marketplace have the option of selecting a United Healthcare plan to receive in-network insurance benefits for visits at our office. We hope this helps our patients save money and get the most out of their healthcare budget. If you are a new patient to our office, Dr. Elaina Lee and Sarada Schossow, PA-C are currently accepting new United Healthcare patients. Please contact our office to schedule an appointment today!